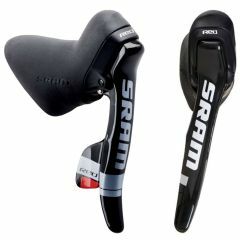 SRAM Red double tap road shifter set - 2011 model with black hoods - as shown in picture! Competition improves the breed: SRAM Red – Black Edition DoubleTap® controls break new ground in materials applications and design for even better performance and customized comfort. 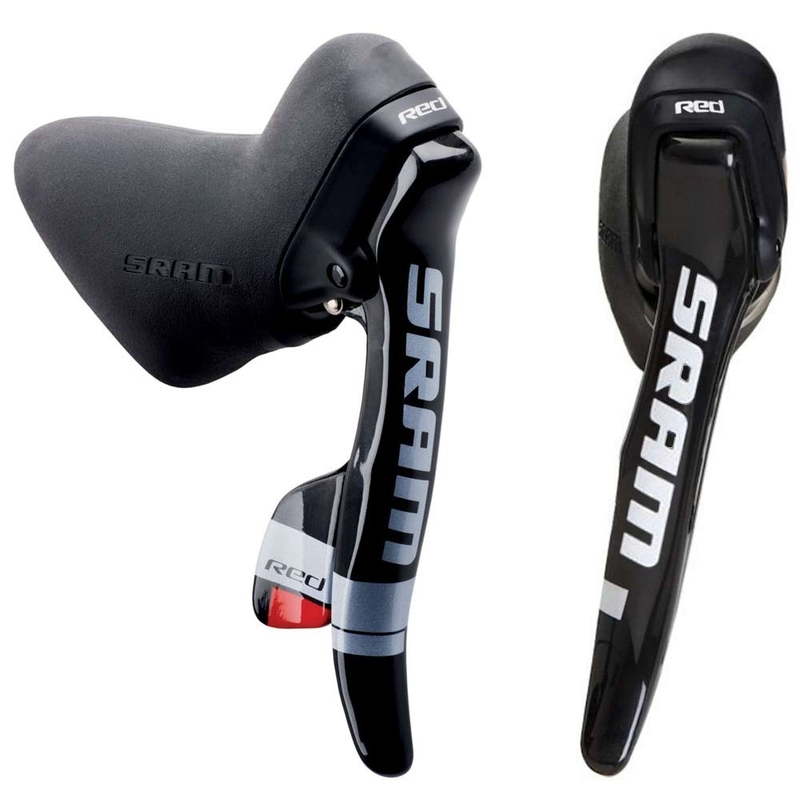 The SRAM Red – Black Edition Shifter uses a highly developed version of DoubleTap®, which is enhanced by a specific pawl geometry that results in zero-loss travel. Proprietary DoubleTap® mechanism with ZeroLoss™ technology delivers smooth upand downshifts in one motion. Revolutionary ergonomic design is comfortable, with the added benefit of custom-tunable reach adjust, while weighing only 280g. Ultra-strong carbon brake lever and shift lever are light, stiff, and comfortable.